Or how about when you’re in a casual conversation with someone and they light up when you mention something that isn’t as boring as what you’ve been talking about for the past 10 minutes? That’s how it’s been since I started working at TeamSnap. I love hearing these stories. At TeamSnap, our focus is on the customer, so when I talk to customers in real life who are excited to tell me how much they love our product, it really makes my day. I get the same feeling when I wear my TeamSnap gear. It never fails that a stranger will approach me about it. So whenever I’m in need of a little positive reinforcement, I put on my TeamSnap shirt and head out to run errands. It works every time! 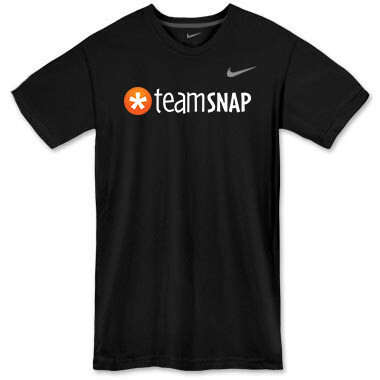 Want a TeamSnap T-shirt, sweatshirt, camp chair or coffee mug of your own? Shop TeamSnap here! Lisa is the support rep for our Leagues and Clubs product, responsible for making sure all of our football, soccer and competitive ice dancing leagues are getting the most out of their TeamSnap subscriptions. Lisa loves a challenge and in addition to being a world traveller has gone skydiving, bungee jumping, hiked the Grand Canyon, skied the Mer de Glace/Valle Blanche on Mont Blanc, and competed in rodeos in Texas. But the most challenging and rewarding thing she’s done is raise two amazing sons.